Far from what the rumors say, a rep from Rockstar assured me that their San Diego office is doing great and won't be closing anytime soon. In early 2010, back before Red Dead Redemption shipped, Rockstar San Diego was subject to a lot of controversy. First, developers' wives in San Diego wrote an open letter addressed to Rockstar's corporate office in New York. The letter complained that everyone who was working on Red Dead Redemption have been working around the clock for a long time. There's nothing wrong with "crunch," as such forced overtime is called, but in this case the period of crunch had gone on for far too long. Then there was a rumor that Rockstar San Diego would shut down or significantly cut its staff after Red Dead Redemption was released, further exacerbating the horrible working conditions. An inside source at Rockstar told me that was not the case. The San Diego studio is going strong and there are no plans to shut it down. "Nope. Still going strong. There are working hard on the DLC," he said. He couldn't confirm whether the studio was working on a new game or whether the success of Red Dead gave them all a free pass for a while. I'm sure that the game's critical reception certainly didn't hurt. "We don't get as many perks as they do [here in New York.] They have a massage table in their office," the source said. The obvious question then came to mind but he unfortunately couldn't confirm or deny a pleasant conclusion to such proceedings. With the large amount of DLC packs being released by Rockstar San Diego, it appears to be still in the swing of designing games. 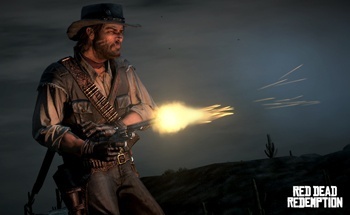 I've had so much fun with Red Dead Redemption that I have to admit it saddens me to think that the team there would be rewarded with a pink slip. I was happy to learn that I can hopefully expect more games from that talented team in the future.